Then again, I usually don’t need high res hyper-RAW pics for scenes. A relatively low-res image gets you pretty far. I’ve always got a quick and dirty camera via my phone. But what about a quick and dirty light probe? 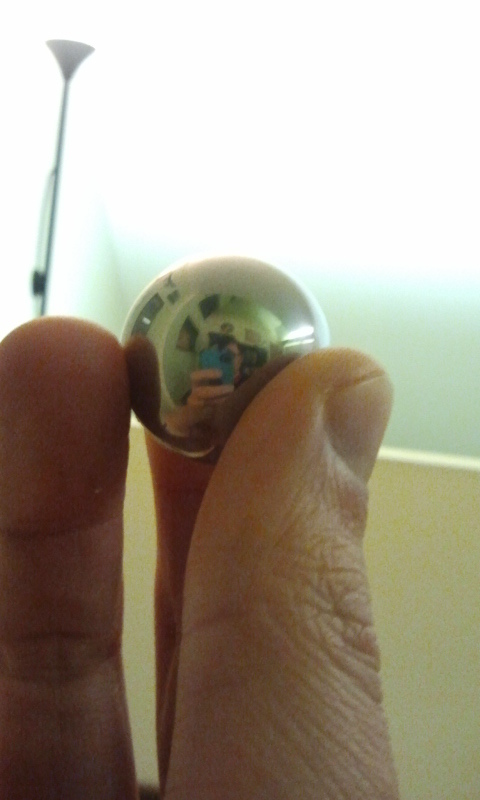 Hence, a crazy scheme is born: to make a chrome ball keychain, and photograph it wherever I happen to be. 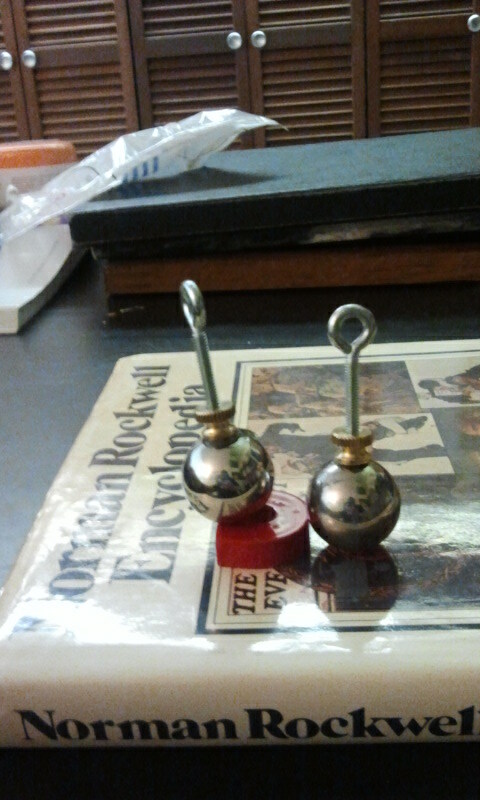 First, the chrome balls. They can be found in all sorts of shapes, sizes, and quantities on Amazon, but you’ll probably have to buy in a pack of 10 or 20. Why not assemble a Blender User Group, like Seabug (this Saturday!) and share the leftovers with others? Shopping around revealed some bad news. Handier folk than I recommended either welding or tapping a screw to fix this to a keychain, but I lack both the skill and equipment to do so. 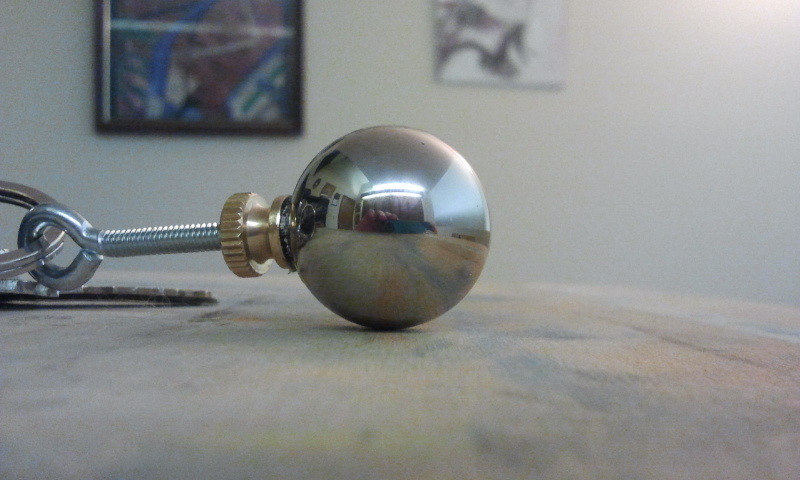 Additionally, paying a professional to do one of these options would cost far more than the metal balls themselves! (quotes ranged from $60 to $600.) Hence, we turn to the glue option. We’ll need a good work surface we don’t mind getting beat up or glued. 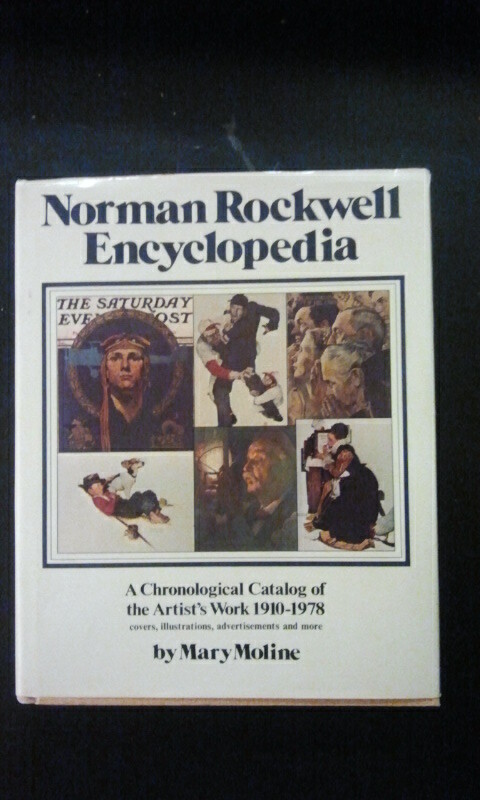 I used this Norman Rockwell book, because like Picasso and the Ninja Turtles, he’s the sort of zeitgeist-hogging artist that even the lowliest pleb can namedrop. Hence, his literature over-saturates the pseudo-bourgeois coffee tables of Americana, and any number of volumes can be obtained for a tuppence at your local Goodwill. When shopping for glue, search for ones that specify metal-on-metal contact, like this Loctite epoxy. 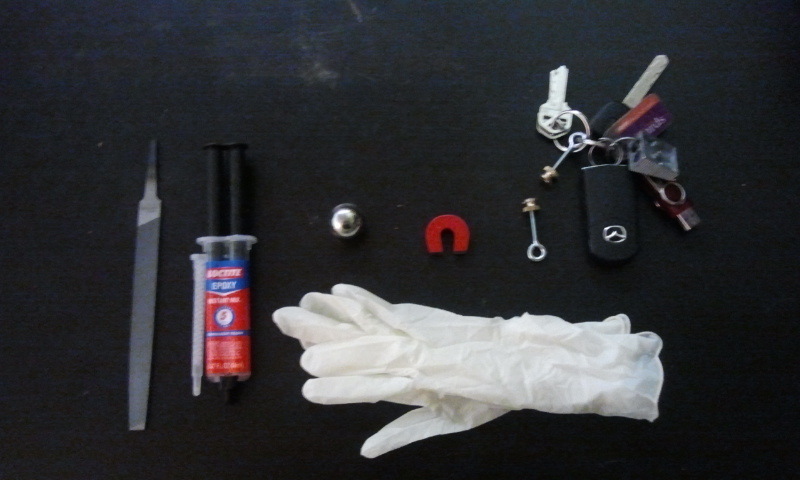 Additional tools include a metal file for roughening surfaces before gluing and removing glue later, a magnet for easy anti-roll propping (old CDs work well too), disposable gloves to avoid emergency room visits, an eyelet screw, and a thicker washer for wider base and increased stability. File on the surface of both the chrome ball’s contact point and the washer/screw contact point. This roughening will help the glue bond. Glue the two things together, and also try to get some glue inside the washer, along the screw thread. 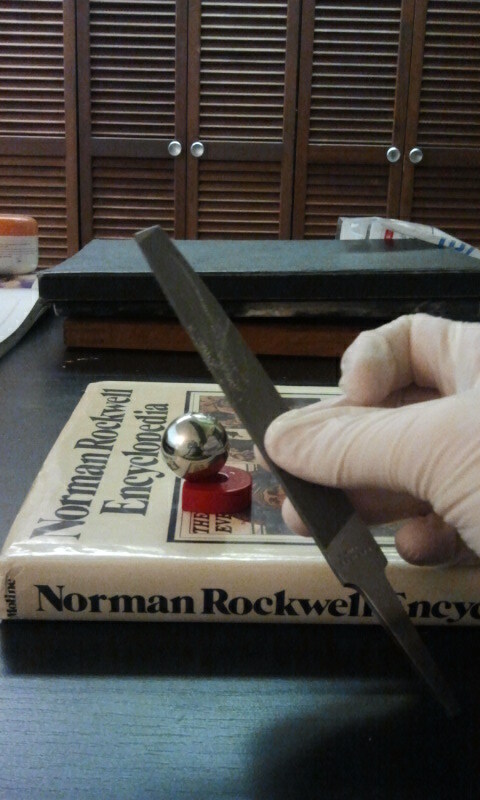 hold them upright, with the magnet helping you out, but be careful not to let the eyelet droop; it’ll zoom right to the magnet. After a few minutes, it should be dry enough to stand on its own, but is still structurally weak. I switched one ball to a stack of CDs for the remainder of the drying. While you’re waiting, why not read up on a grander and more obscure artist for future name dropping? 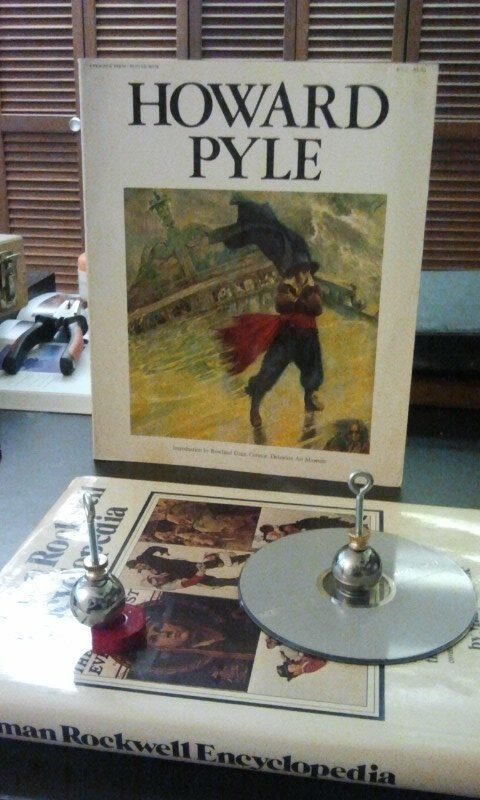 Ah, Howard Pyle. That’s the ticket! Master of color, the best early illustrator to make it big mass marketing to the lowest common denominator, and an educator to whom many great students trace their lineage. Why, imagine how he’d feel knowing now that his children’s book fancies are now prized among…good news! The glue is dry. Ready to have your mind blown? 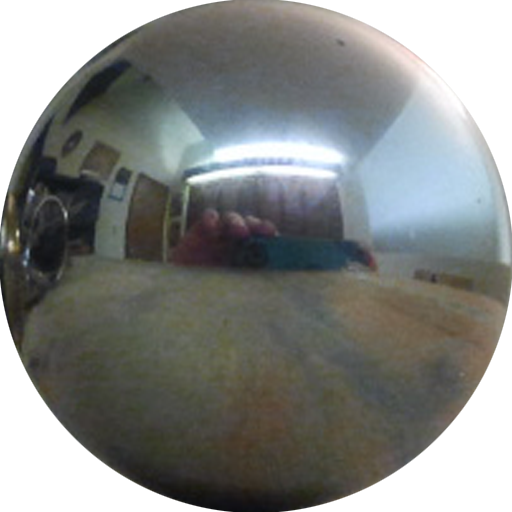 When you look at a reflective ball, you see more than the 180 degrees facing you! This means that when you photograph your ball, you’ll have to edit out two things: yourself and your keys. To minimize other artifacts that will clog your photo, use the file to remove excess glue. Learn what you can about operating your crappy camera phone. Try to get good resolution. 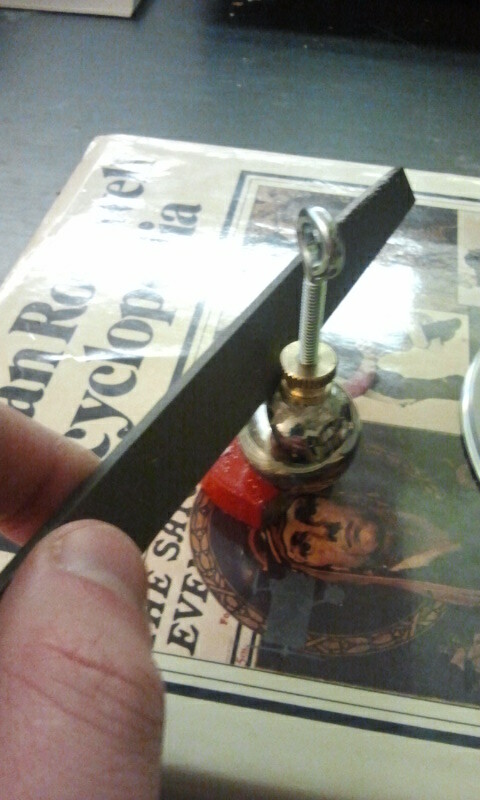 Also, although it illustrates the hardware, try to position the your keys behind the ball, rather than on the side. My camera crops with only a little bit of uprezzing to put this exactly in the center of a 512×512 texture. I distort this to a rectilinear map using the Flexify 2 filter for Photoshop from Flaming Pear. 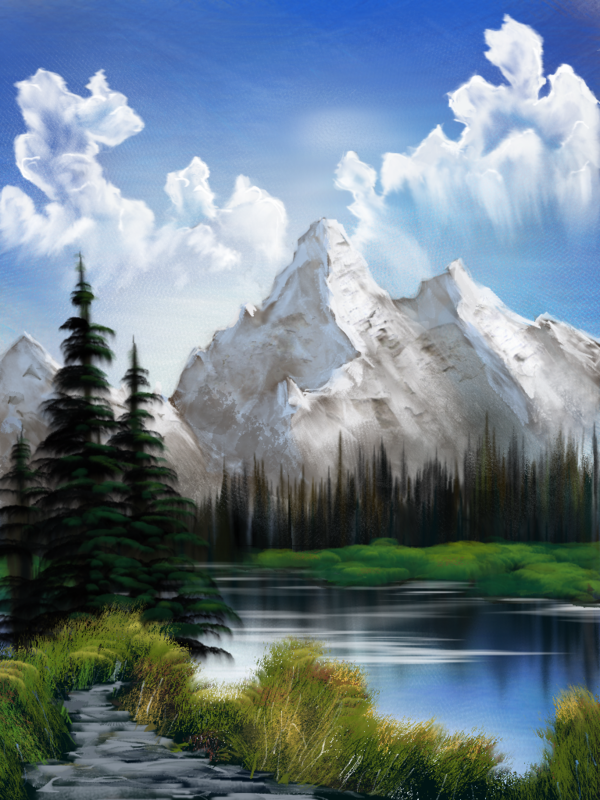 Although I haven’t tried it, there’s also Panorama Tools for GIMP, and probably some other stuff. I dunno, google it. 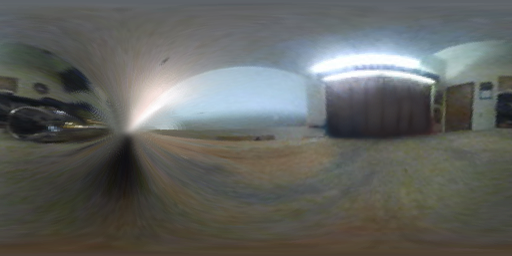 The settings I used were Mirror Ball to Equirectangular, which jams it into 256×512. I cleaned out two artifacts: myself in front of the closet, and the keys along the left pole. In retrospect, I should have cleaned out the ball’s contact shadow (AKA ambient occlusion for you 3D types) before remapping as well. Now to get this in 3D! I used two setups, Cycles and Internal for Blender. The Cycles render is simple. On the World coordinates tab, change the Color to Environment Texture, and select your equirectangular texture, leaving the Vector at Default. Turn on Ambient Occlusion, and under Settings turn on Sample as Lamp. Hey hey, instantly lit scene! For the internal renderer, you have to do a lot more finagling. First, the World should be mapped to Real Sky. 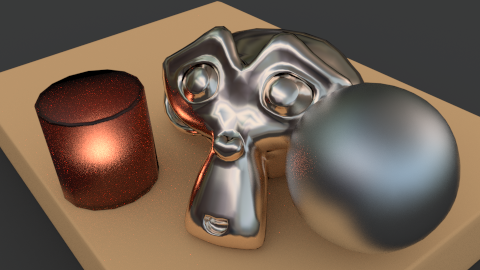 Turn on AO, Environment lighting (set to Sky Texture), and set Gather to Raytrace, and enable raytracing in the Render tab. For the World texture, instead use an Image type texture (instead of an Environment Map) because this is quick and dirty, and thus can’t use Env Map’s fancy goodness. 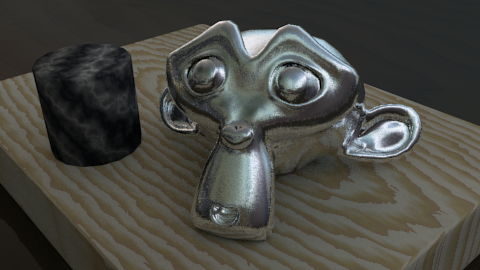 Select your equirectangular texture, and map to Vector and Default. Anyhoo, Feel free to play with my test file.